Selling your home involves many steps, from consultation to pricing, marketing to escrow. Your Berkshire Hathaway HomeServices Foster, Realtors® real estate professional is equipped with an extensive knowledge of the area as well as unequaled skill in the arts of marketing and negotiation. Our associates have the ability to efficiently and accurately assess market values when working with sellers and can successfully navigate the demands of today’s marketplace. Interview a few listing agents and find one that you are comfortable with. A good agent can be the difference between a smooth sale and a stressful one. See the difference with Berkshire Hathaway HomeServices Foster, Realtors® agents. It's important to set clear goals and decide at the beginning how involved you want to be in the selling process. Ask about your agent's marketing plans for your home, discuss your expectations about their role and your role in selling the home, and work together to make the sale. How will buyers see your property? You only have one chance to make a positive first impression. A comparatively small investment in time, money and effort can remove many distractions and lead to strong offers from buyers. No one has a more important role in the home selling process than you, the seller. The correct staging of your home can go a long way towards achieving a successful sale at the highest price. Walk through your home as a prospective buyer would. Check flooring, plumbing and lighting fixtures, heating and ventilation systems, roofing, and any other major features. If you can, have a home inspector come to your home for a thorough report. This may be the best investment you make, as you will be aware of and repair the items that could be an issue when you are under contract. Add small cosmetic touches that might help you sell the home. Nothing is more inviting than a freshly painted room. Walk through your home and paint walls and trim that show wear and tear. It will make a lasting impression on homebuyers. Try sprucing up the entryway to make it more inviting. Plant flowers in the front yard and send belongings that clutter up rooms to storage. Settle on a realistic price - you want your home to sell in a timely fashion and not make buyers speculate on why it is just sitting on the market. Check sales prices of comparable homes and consider getting an appraisal to assess the market value of your home. Our real estate professionals are market experts and can provide you with a very thorough opinion of your home’s value. Work with your real estate professional to attract as many potential buyers as possible. Berkshire Hathaway HomeServices Foster, Realtors® agents use advanced marketing strategies to attract buyers, whether online, driving by or reading the paper. Our marketing system produces outstanding results. Contact us today for a no obligation sales analysis and marketing plan for your home. Negotiation is a serious business that requires skill and knowledge to effectively achieve the desired outcome. Our agents are highly trained and skilled negotiators and are the most respected professionals in the business. After working through any remaining considerations, you simply need to get through all the paperwork. Your listing agent should help you compile all the necessary documents and arrange to meet with the buyers, inspectors and others to facilitate the transaction to a successful closure. 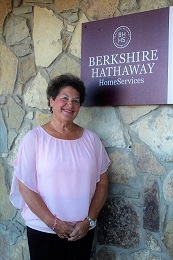 � 2019 Reliance Network and Berkshire Hathaway HomeServices Foster. All rights reserved. U.S. Reg. Copyright TX-5-910-991, TX-5-910-992, TX-5-910-993, and TX-5-910-994. Equal Housing Opportunity.